I’ve updated this post on 31-Mar-2015, to incorporate the latest changes, and to provide more up to data info on the procurement database. Left everything else in tact. Happy birthday Malaysia!! Just how awesome is our country, that we celebrate an Independence Day AND a Malaysia Day, not to mention 2 New years day, (or 3 if you count Awal Muharram). So on that note, I decided to use my IT skills for the good of the country. To be honest, my IT skills have never been up to par, my day job is more managing/planning/documenting than actual execution of ‘real’ IT work. But it was good for me to dust of the ol’ programming fingers and learn Python to grab some publicly available information and make it more accessible to the less IT centric members of society. Since I had limited time, and sub-par skills, I decided to set my sights low, and aim to extract all the data from the Malaysian MyProcurement portal, which houses all the results of government tenders (and even direct negotiations) in one single website for easy access. The issue I had with the portal though, was that it only displayed 10 records at a time–from it’s 10,000+ record archive, so there was no way to develop insights into the data from the portal directly, you had to extract it out, but the portal provider did not provide a raw data dump to do this. So I wrote a simple Python script to extract all the data, and prettified the data in Excel offline. The result is a rather mixed one. I was happy that I could at least see which Ministeries or Government departments gave out the most contracts, and what the values of those contracts were. All in all, the excel spreadsheet has more than 10,000 tenders with a cumulative value of RM35 billion worth of contracts going back to 2009. 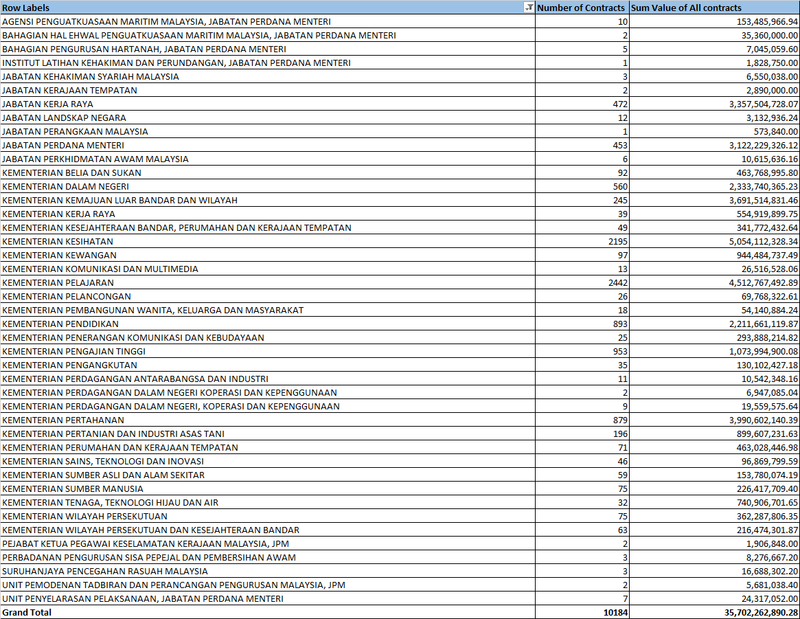 The data allowed me to figure out which Ministry gave out the most contracts, the contracts with the highest and lowest value (including one for Rm0.00, and one for just Rm96.00). All in all it was quite informative. Is Malaysia’s Broadband slow–no it isn’t. The report however was inaccurate, and I think there’s a need to address the hoopla, because this happens often. There was a report couple months back that said Cambodia had faster speeds than Malaysia, and I wrote a post addressing that. This time I think, we have to really go into the data and find out what exactly is going on. So let’s start at the source of this data. The data was built from billions of download test conducted by users throughout the world on speedtest.net (a website that allows users to test the speed of their internet connection). This dataset is HUGE!, one of the biggest I’ve seen and definitely the biggest I’ve had the pleasure to play around with. Just one file in the set had more than 33 Million rows and weighed in at more than 3.5GB.It took me some time and lots of googling just to figure out how to deal with a csv file this large. Fortunately, there’s LogParser, but we’ll skip that tutorial for now and focus on the juicy details of data. The number reported by Asean DNA is wrong. The average internet speed in Malaysia isn’t 5.5Mbps, it’s more like 7.5Mbps. 5.5 Mbps was obtained by averaging the speed across the regions of Malaysia (Kl, Alor Setar, Klang..etc) rather than by averaging the speed across all the test conducted by Malaysian users. 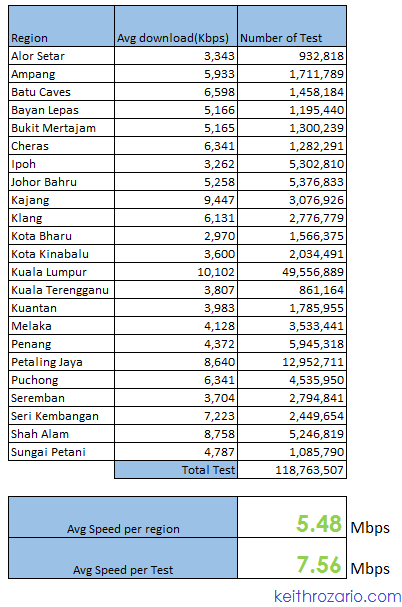 In short, Asean DNA placed equal emphasis on Kuala Terengganu and Kuala Lumpur, although Kuala Lumpur had 50 times more test conducted. It would be like calculating GDP per state, rather than GDP per capita. The real per capita download speed in Malaysia is 7.5Mbps, rather than 5.5Mbps (if you limit yourself to just data from 2014). Here’s the breakdown. 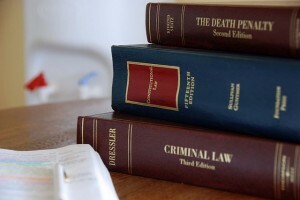 You can download the file from netindex.com or just use an extract I created with just the Malaysian data–it took some time to do this so leave a Thank you in the comments if you downloaded the data.